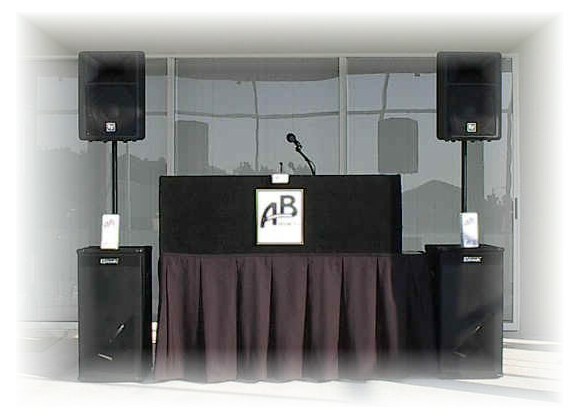 DJ's Bay Area, DJ's, Bay Area, Bay Area DJ's, Bay Area, DJs Bay Area, DJ, Disc Jockey, Wedding DJ's Bay Area, San Jose, San Francisco, bay Area. We do many different types of events. Every one is different from one to another and not all of them involve the same amount of, time, labor, equipment, amount of guests and travel. ALL text, images and names that are viewed on this site are creative creations and are copyrighted and licensed to AB Productions®, California Disc Jockey Association®, California Bay Area Disc Jockey Association®, Bay Area Wedding Disc Jockey Association® and California Wedding Disc Jockey Association® they may not be duplicated in any way without prior written permission. No parts of these pages or names can be reproduced, sold, or transmitted in any form without our explicit written permission. By copying or paraphrasing the intellectual property on this site or names, you're automatically entering into a legal binding contract and agreeing to be billed $5,000 payable within 30 (thirty) days. The owner of the site and or webmaster will be held fully liable for the total contracted price, and will be turned over to a collection agency and or legal action will be used, if needed, to collect the total amount due PLUS any reasonable Attorneys fees, Court costs and Collection Agency fee's.